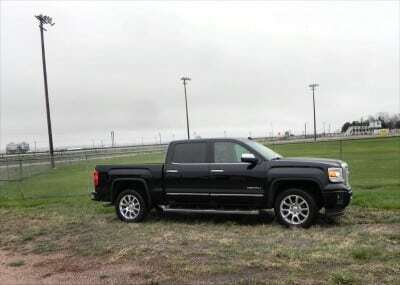 The 2015 Sierra 1500 in its Denali package is the truck that defines what “Cowboy Cadillac” means. It’s big, beefy, and posh. 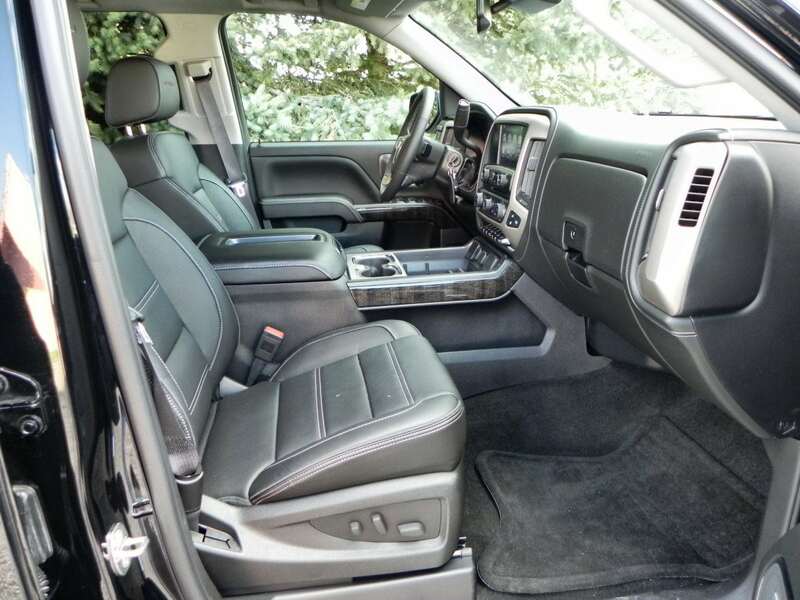 It is a great-looking, comfortable truck that is almost too nice to actually use for truck things. 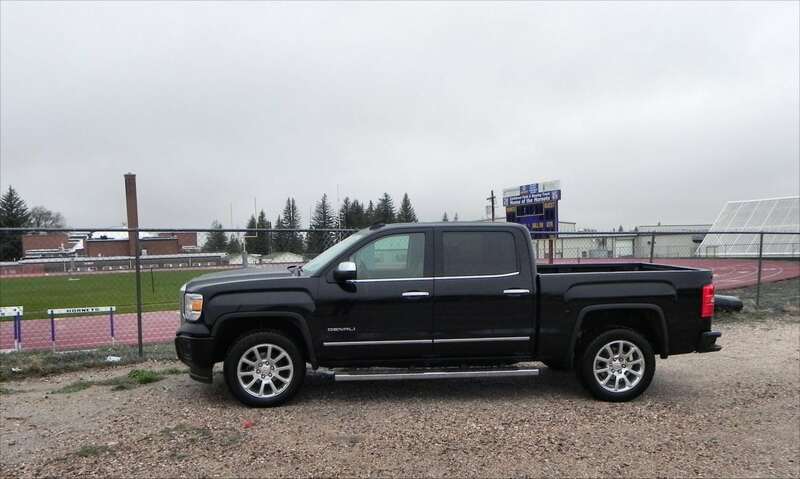 The 2015 Sierra 1500 Denali is a posh truck, for sure, and might make some wonder if they’d actually work with a $60,000 pickup in the way they would a less appealing ride. 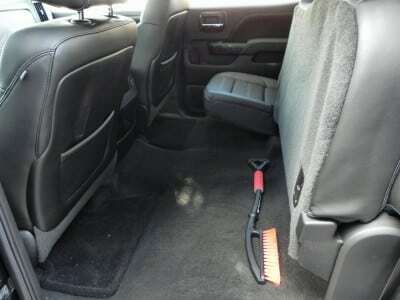 It is, at least visually, a Cadillac that happens to have a cargo bed. For the week that we had this truck, we were under no such compunction. Once the initial “wow” of the exterior look wears off, the Sierra 1500 Denali becomes just like any other pickup: a workhorse we want to go out and do stuff with. 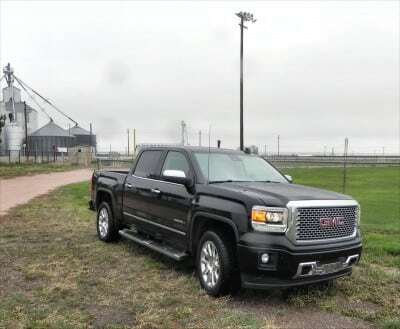 The GMC Sierra 1500 is a capable, tough truck with plenty of usefulness. 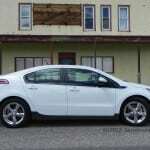 For 2015, several changes are made to include the latest OnStar system and a new V8 and eight-speed transmission option. 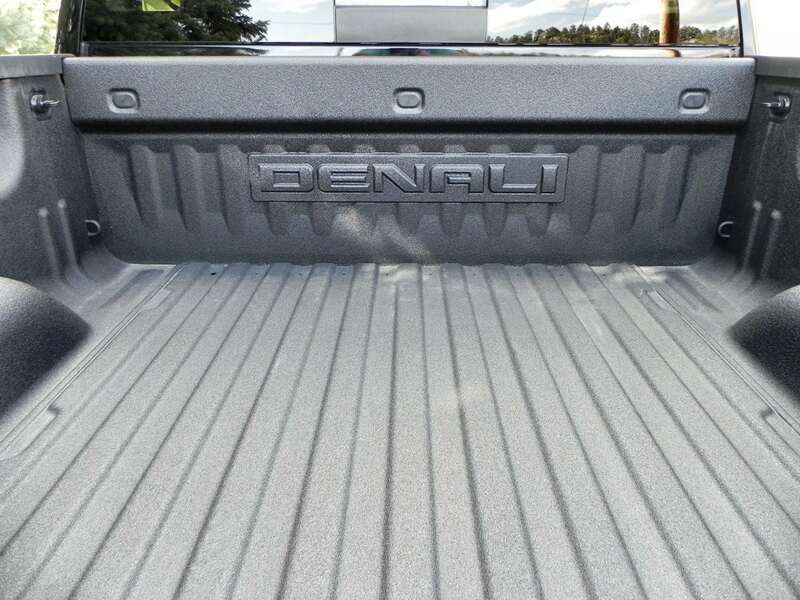 The Denali trim that we drove also sees a new spray-in bedliner and magnetic ride suspension. The Denali package for the GMC Sierra is high on bling factor. As would be expected. 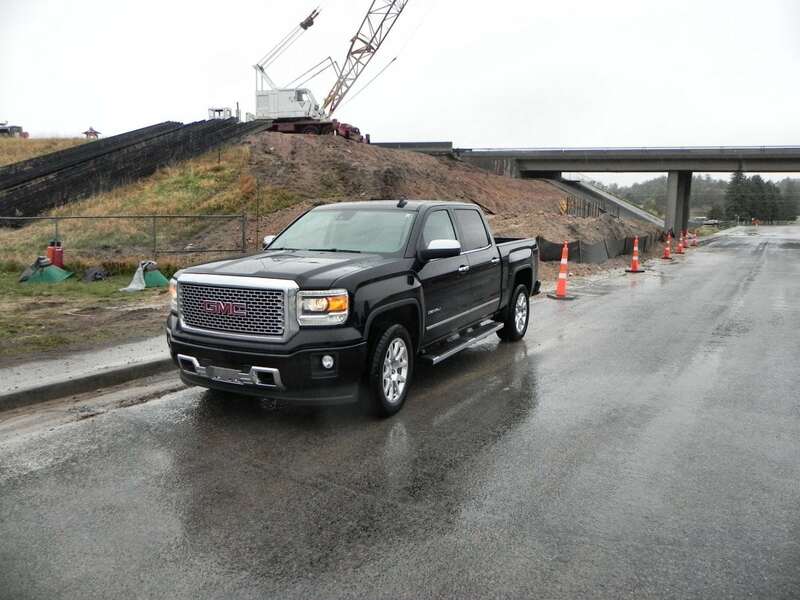 The Sierra has a wide grille, tall hoodline, heavy bumper cover, and accentuated flares around the wheels. The Denali trim adds a lot of chrome to that look. The front grille changes to the oval Denali mesh and chrome stripes along the beltline as well as chrome door handles and mirror caps keep the bling going. The wheel options for the Denali package are phenomenal with some beautiful looks. Ours had machined aluminum wheels that looked almost chrome-like in their shine. Chrome exhaust tips and accents on the running boards finish the job. For those that buy in this segment, it’s hard to deny that the 2015 GMC Sierra 1500 Denali doesn’t have a great overall look. It’s very masculine with a lot of style. 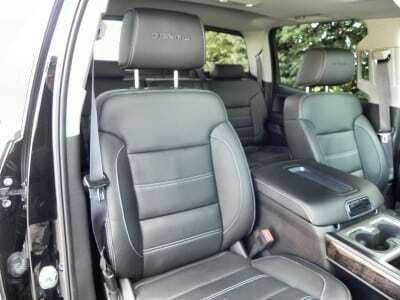 Beautiful perforated leather, a big infotainment display with Bose surround-sound audio, heated and ventilated front seats, power adjustments for everything including the foot pedals, a heated steering wheel, a big driver information display in the instrument cluster, and more are high points of the Denali’s interior for the Sierra 1500. 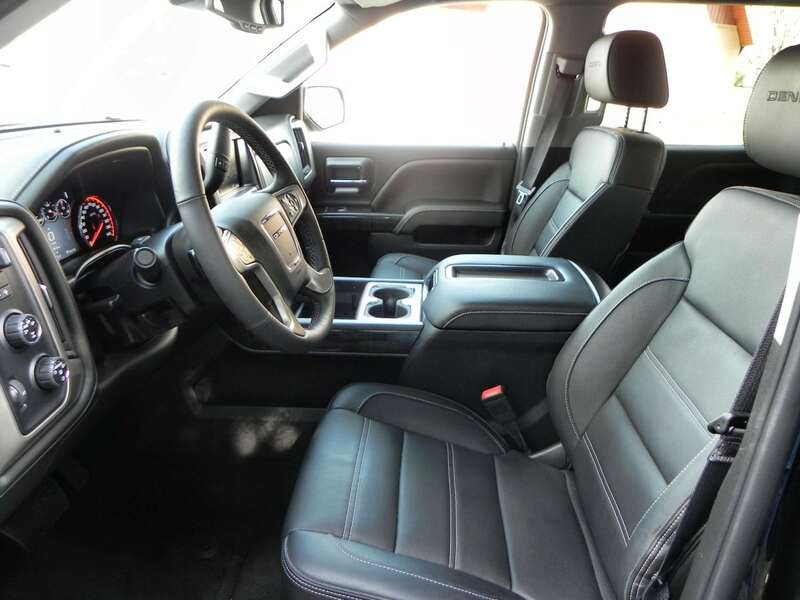 Seating in front is very comfortable with more than enough adjustability to suit anyone. 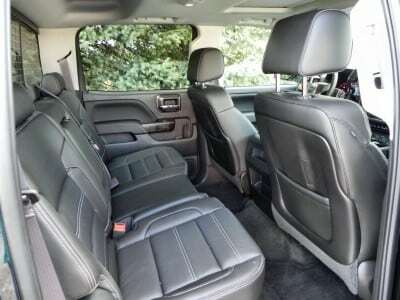 The driver and front passenger are treated to nearly endless legroom, lots of headroom, and wide shoulder and hip room accommodation. The back seats in the Crew Cab we drove were spacious, also very comfortable, and much more adjustable than some pickup buyers might expect. One note is that our package did not include the rear seat entertainment system, which is an option. 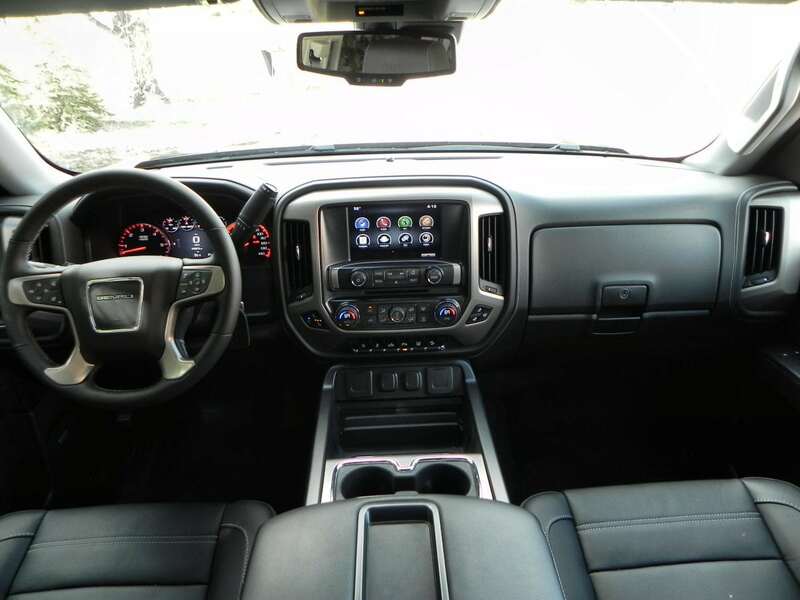 The Sierra 1500 has several powertrain options, all of which are worth mentioning before we talk about the new V8 in our test model. 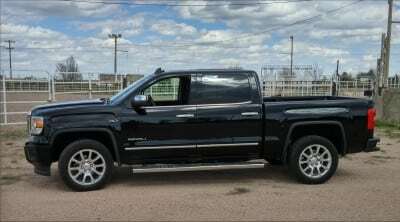 Excepting the SLT and Denali trims, the standard engine for the Sierra is a 4.3-liter V6 that produces 285 horsepower and 305 pound-feet of torque. 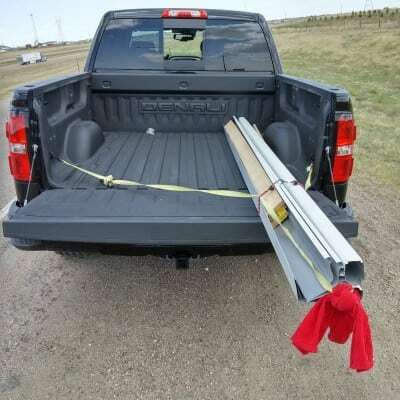 For many who don’t tow, haul, or carry a lot of stuff, this is probably more than enough for everyday use. 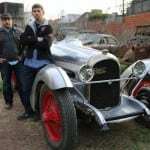 A six-speed automatic is standard and it can still tow 7,200 pounds (at maximum, depending on configuration). 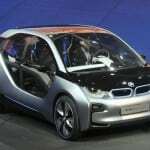 The EPA rates it at 20 mpg combined in rear-wheel drive and 19 mpg combined in four-wheel drive. Not bad at all. 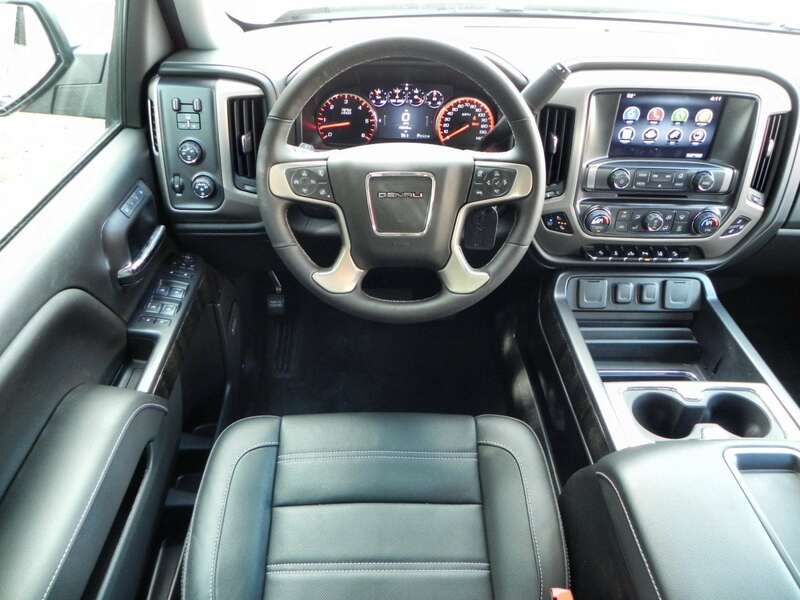 The SLT and Denali trims have the 5.3-liter V8 as standard, but it can be opted for in other trim levels. This is the base-level V8 with towing up to 11,200 pounds, producing a respectable 355 horses and 383 lb-ft of torque. For that, you don’t sacrifice much from the V6 as this 5.3L V8 gets 19 mpg and 18 mpg combined from the EPA in RWD and 4WD respectively. Our test model had the new eight-cylinder, though, which is available for both the SLT and Denali trims and entered the market mid-year. This is a beefy 6.2-liter V8 that produces 420 hp and 460 lb-ft of torque that matches with a new eight-speed Hydra-Matic transmission. A 3.23 rear axle ratio is standard here. 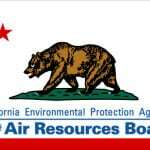 This engine gets an EPA rating of 17 mpg combined in both rear- and four-wheel drive. This new engine is powerful and feels that way when you’re out on the road. It gives a beefy response to the throttle and never felt bogged down during towing, hauling, or offroading. You pay for that with marginal fuel economy, of course, but if you truly plan to tow, that big 6.2L maxes out at 12,000 pounds. 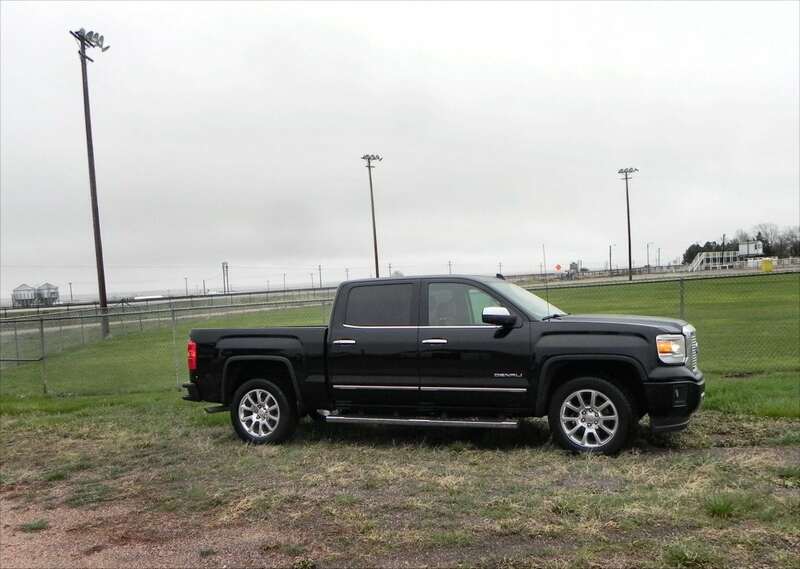 The 2015 Sierra in its Denali package is a comfortable, well-mannered ride despite its being a truck. We spent hours in this pickup and enjoyed every second. 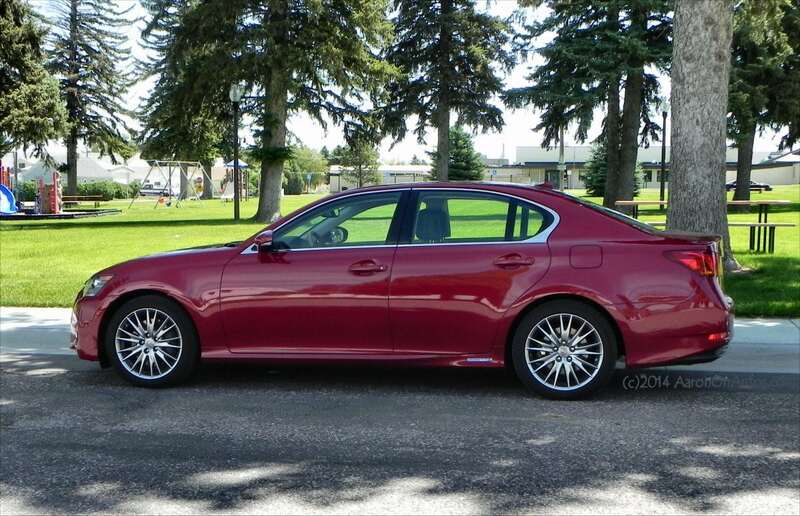 It carries the family well, rides well when you’re solo, is comfortable on the highway with or without a load, and generally just feels great. 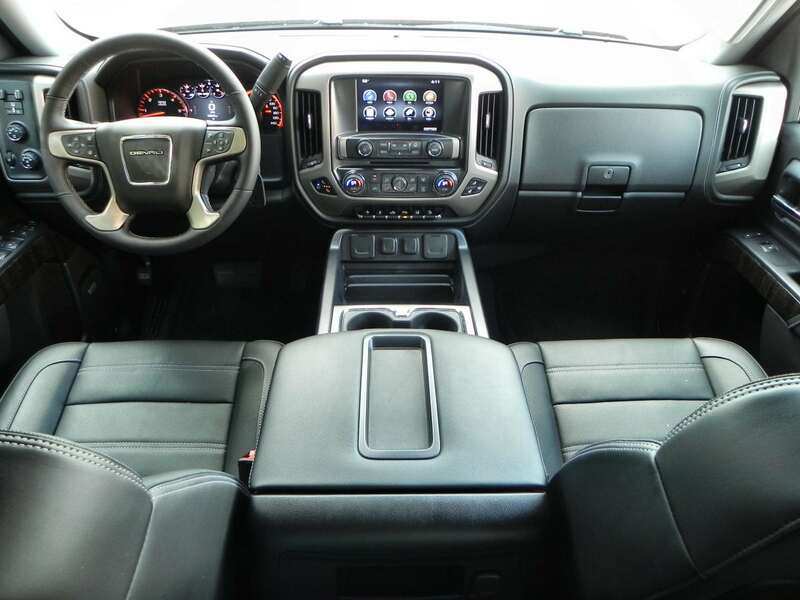 The Denali package includes a lot of interior updates that make this truck as good as any modern car you can name. We pulled a 4,300 pound trailer, a 3,800 pound camper, and carried a few hundred pounds in home improvement items in the bed on various trips in the 2015 Sierra 1500 Denali. In all cases, it did very well. 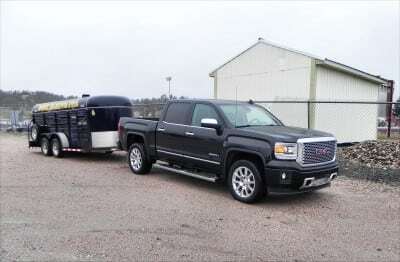 The trailering package is a good one and though we didn’t even match half the truck’s purported towing capacity, our experience says that with the way it handled what we did haul, it will do well when getting close to that maximum. Finally, we note that a short drive in a Sierra 1500 powered by the 5.3L V8 proved that it still retains that Sierra “lug” feel with its throttle delay and gearing. That’s gone with the beefy 6.2, which feels responsive at all times and whose extra gears mean better shift ratios. Every major pickup truck maker has a top-line version of its full-sized half-ton truck. All are competitive with the Denali package for the Sierra. The Ford F-150 has the King Ranch and Platinum editions, the Ram 1500 has the Laramie Longhorn and Limited packages, and the Toyota Tundra has the 1794 edition. Only Nissan has no “premium” version of their truck, though it’s likely that we’ll see one with the new Titan coming next year. 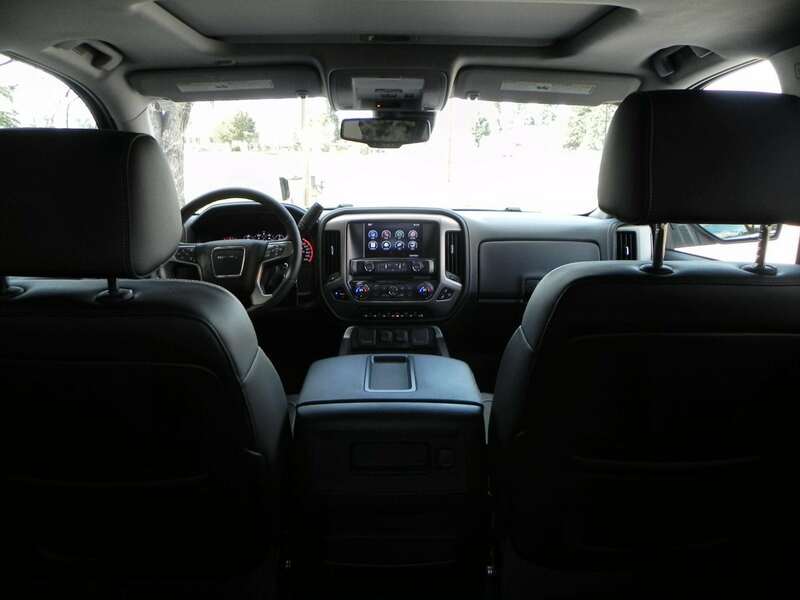 Choices largely come down to brand loyalty and what you need the truck for outside of its posh fittings. 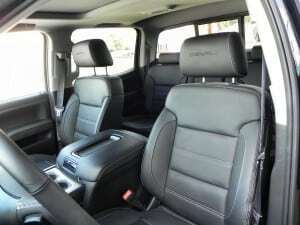 Very, very comfortable and easy to drive. Poor fuel economy with little towing gain from the new V8. 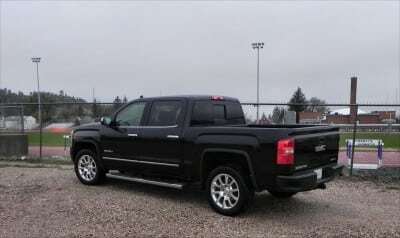 We greatly enjoyed the 2015 GMC Sierra 1500 Denali. 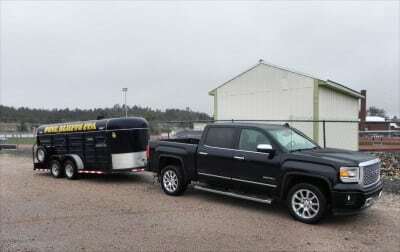 This is one of the top-selling high-end trucks on the road and General Motors continues improving it to push that appeal. 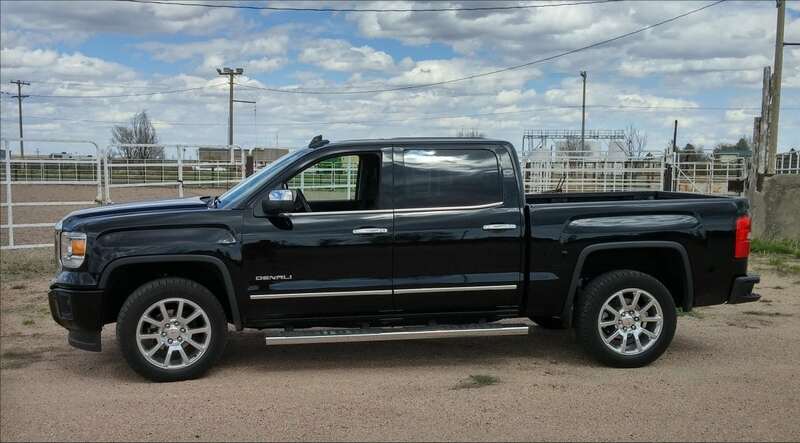 The truck that clearly defines Cowboy Cadillac, the Sierra Denali is a posh, comfortable truck that’s still capable of getting jobs done. 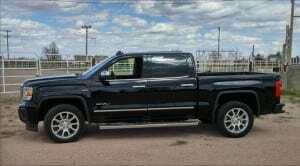 The Sierra Denali was a manufacturer’s press loan for about a week. During that time, we put 388 miles on the truck in varied conditions, including inclement weather and under load. Passenger loads ranged from one driver to four adults or children in safety seats.